Most homeowners take just as much pride in their garden as they do their indoors, especially here in Australia where the weather outside is often more than welcoming. You have the chance to turn your yard into a private paradise in the sun if you decorate it to suit your preferences in style, and you don’t want any ugly eyesores ruining its aesthetic appeal. Fully grown, lush trees can add beauty and character to a garden, but a stump serves merely as an obstacle and does nothing to add your yard’s appearance. Unfortunately, most people don’t have the tools or required skills to remove a trump completely and safely, but our professionals can finish the task with ease. Here at Beaver Tree Services, we take great pride in helping homeowners transform their garden into something they love by removing unwanted stumps and providing tree lopping and tree trimming services. We’re here to make sure your yard doesn’t become an overgrown mess that you’d rather avoid, and for the reasons listed below, you ought to consider hiring our experienced professionals for stump removal. Tree stumps can be hazardous — If you’re not paying attention to what you’re doing when strolling around your yard, you could easily trip on a tree stump. However, removing a hazardous stump is even more important if you have children who love to run around aimlessly and roll around on the floor. Plus, you could damage garden maintenance equipment such as mowers if you’re not careful. The best thing to do is simply have the stump removed. Stumps can sometimes result in new trees — Strategically placed trees can improve your garden’s look, but you need to be in control of where they grow. Sometimes, new trees can grow around a stump that may contribute to new sprouts, and removing the new trees can be expensive and time-consuming. You can avoid this problem altogether by calling our professionals. Stumps can attract pests — If you have a rotting stump left alone in your garden, you can be sure unwanted pests and insects, including ants, beetles and termites, will make a habitat out of your garden. The last thing you want is an abundance of wood-boring pests taking refuge in your outdoor paradise. Stumps steal your garden space — On top of everything, simply leaving the stump alone means you’re losing precious yard space that you could otherwise do something else with. 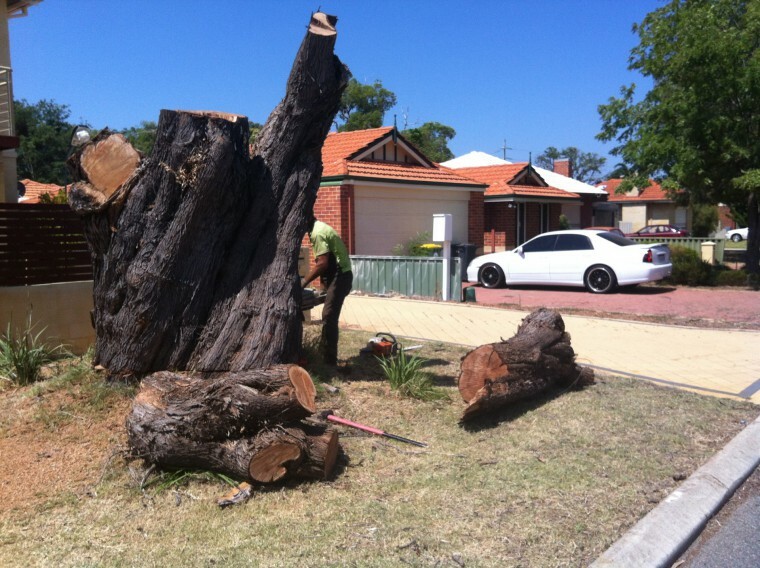 Let us return your space to you by getting rid of that pesky tree stump. Here at Beaver Tree Services, we want every homeowner to love spending time in their garden, which is why we offer a stump removal service to make your yard hazard-free and more aesthetically pleasing. If you’d like to have a no-obligation chat or want to know more about our services, contact us today.